Easily install Hawk brake pads into your SVO calipers with this Maximum Motorsports brake pad adapter clip kit! Adapt Hawk brake pads into your SVO calipers with this Maximum Motorsports brake pad adapter clip kit! Also known as anti-rattle clips, these special retention clips are required to secure Hawk HB-263, and HB-125, series brake pads into SVO front calipers equipped with 73mm steel pistons. 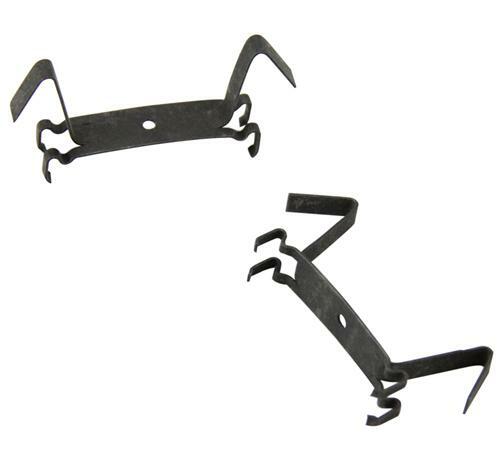 These clips snap onto the the inside of the pad that engages with the caliper piston. Kit includes two clips; which is enough for both front calipers. The original SVO front caliper had a 73mm phenolic piston, and does not need these retention clips.